Halloween Viewing: Ten Horror Films that Mix Scares with Science « Adafruit Industries – Makers, hackers, artists, designers and engineers! Adafruit loves Halloween, and Adafruit loves Horror films. We thought it’d be fun to make two lists of films for your October viewing consideration (part two now available here). In the first of these, we take a look at some films that mix scares with science (however loosely). 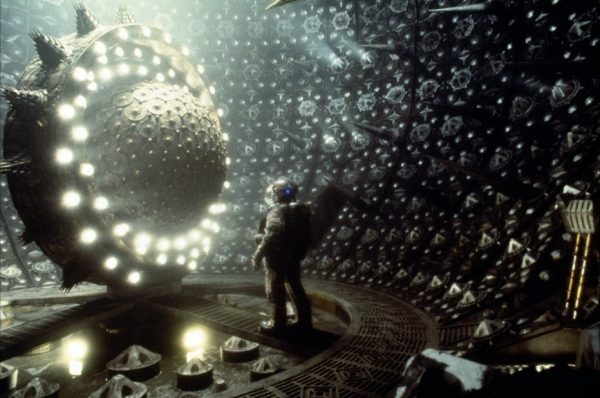 This mix of the great and goofy is by no means the definitive list of “Sci-Fi Horror” (Screen Rant have a nice list of what they consider the 15 Best Ever) but read on for space peril, experiments gone wrong, dystopias, killer robots and scary science. The aptly named Event Horizon is an experimental ship equipped with a gravity drive that allows for the travel of incredible distances through the creation of artificial black holes. The ship, however, vanished seven years ago on her maiden voyage. The horror comes when a cast of Laurence Fishburne, Sam Neill, Kathleen Quinlan and Sean Pertwee venture into space to answer the distress beacon of the long-missing vessel. The gravity drive took the ship somewhere it should not have gone, and while the Event Horizon lost her crew in the process, she didn’t return empty handed. Though the film was critically savaged upon release, I’d strongly recommend revisiting this one. This right here is a bit of a classic. 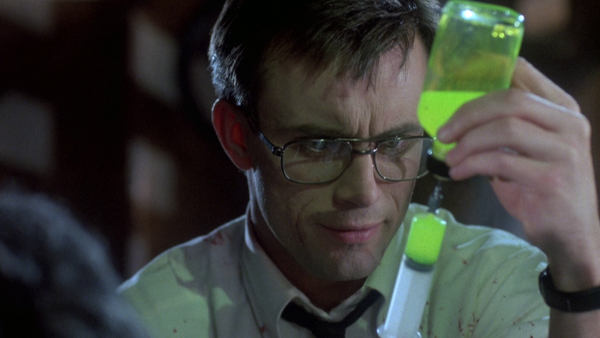 Adapted from H.P Lovecraft’s “Herbert West: Re-Animator,” this trashy and violent retelling sees Doctor West attempting to cure death through his “reagent” serum. Cadaver thievery, dismemberment, zombies, sentient intestines and loving romance all play a part in this frantic plot. 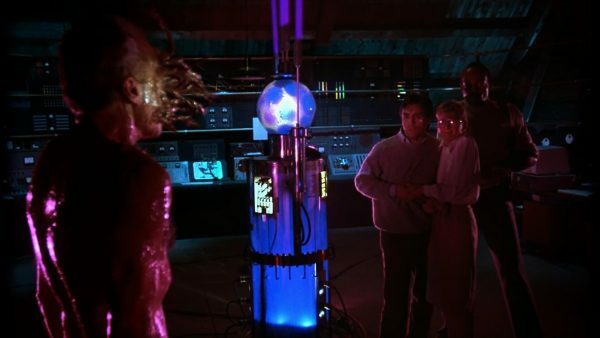 The film helped launch the long careers of horror and sci-fi icons like Jeffrey Combs, Barbara Crampton, Stuart Gordon and Brian Yuzna and was followed by two gruesome sequels. For further reading, check on this Lovecraft blog tackling the “science of reanimation” from the heady days of 2015. Both versions of this film are pretty excellent. The 1958 original stars Vincent Price and possesses one of the scariest endings in film history, while the 1986 remake stars dreamy Jeff Goldblum and is one of the slickest and best-known David Cronenberg films. Though both deal with a matter-transporter experiment gone awry causing the merging of man and insect, I have to recommend the 1986 film. I personally find cellular-level threats a lot more frightening when they involve decay and mutation as opposed to a human body with a fly’s head running about, but both are valid concerns. 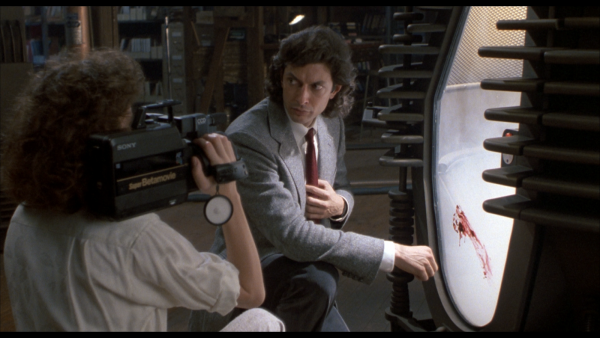 Cronenberg is a master of icky body plots, whether it’s infections, mutations or rebelling cells, but this may be his most accessible horror film. One of the best ever. A science expedition team in the Antarctic encounters a shapeshifting creature. The creatures ability to assimilate and duplicate any living creature forces our protagonists into a deep state of paranoia and desperation as they fight for survival. 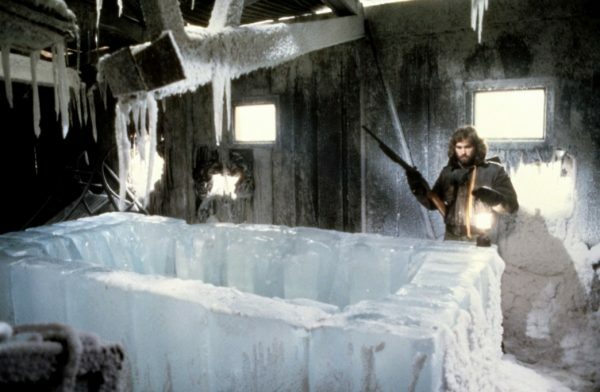 There are a few versions of the story told across a number of mediums, but I side with the majority in holding John Carpenter’s film as the definitive (though not original) telling of the tale. This is one of the films that makes me truly love the horror genre. Here’s a fun fansite that tries to explain the biology of the Thing. Somewhat acclaimed at the time of its release and still a minor cult classic today, Hardware was apparently built to last. I guess a killer robot film with brief appearances from Lemmy and Iggy Pop, plus a soundtrack of “golden oldies” that includes PiL and Ministry has an enduring appeal. Adafruit makers may enjoy the scenes of the self-repairing deathbot that stalks the heroes in this claustrophobic hit. An inevitable appearance from schlock royalty Charles Band. This is an unexpectedly fun straight-to-video genre hybrid as Crash and Burn sets a pretty standard slasher film inside a paint-by-numbers Mad Max-esque future – with giant robots. This mashing of common low-budget elements achieves some pretty memorable entertainment. 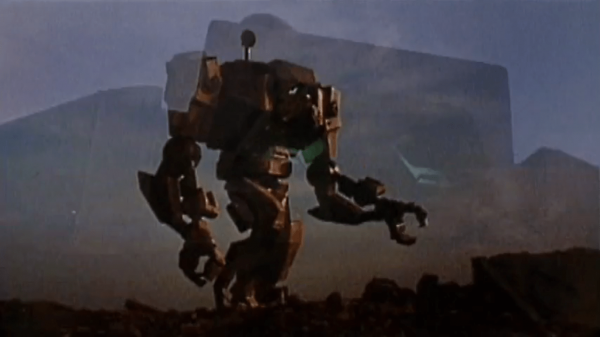 But if it’s the giant robots that have you intrigued by this one, I’d recommend watching the decidedly non-horror Robot Jox instead. It’s Pinhead in space. 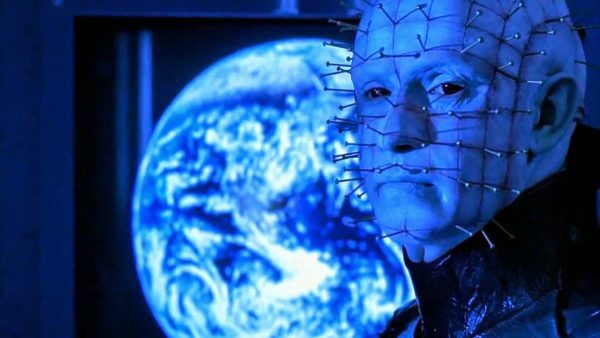 I’m not saying it’s great, but it’s Pinhead in space. Operating as both a sequel and a prequel, there’s a lot of fun history to the creation of the Lament Configuration puzzle box, which some of you makers might enjoy. For what it’s worth there are way worse Hellraiser films. It should be noted that original director Kevin Yagher opted to have his name taken off the film entirely. An odd precursor to The Matrix, this Fangoria-produced post-apocalyptic film shows us a world in which the ozone layer has finally been eroded and survivors live in the virtual reality dream utopia of “InWorld.” Unsatisfied with artificial living, our hero is exiled into the toxic badlands and forced to fight for survival. It’s an ugly and gory low-budget title that’s probably most notable for starring The Evil Dead’s Bruce Campbell and Phantasm’s “Tall Man,” the late, great Angus Scrimm. A fun 1990s curiosity, for sure. Certainly not the first film to blend science fiction and horror together but undeniably one of the true landmark efforts to do so. This moody classic helped launch the careers of Ridley Scott and Sigourney Weaver along with one of the most iconic franchises in history. H.R Giger’s alien is one of the most frightening and iconic creatures ever created. The quality of the subsequent films is obviously up for debate, but it says something that they’re still making sequels to this masterful film. 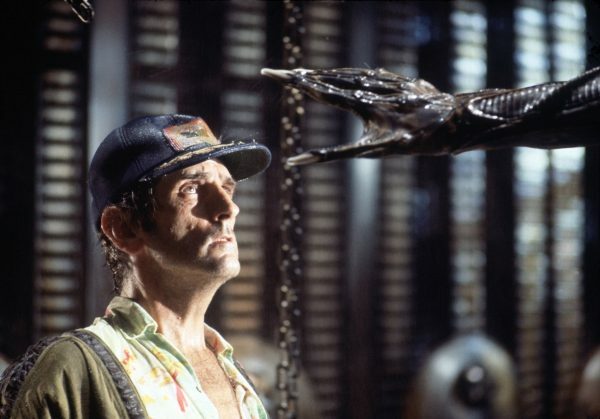 John Hurt and Harry Dean Stanton are both much missed. Honourable Mention: The NoSleep Podcast for this short horror story about a VHS copy of Adafruit favourite Dune. So, that’s that for this one. I’ll be back soon with another list of horror films for your Halloween viewing, this time focusing on films set in Adafruit’s home of New York. See you then.